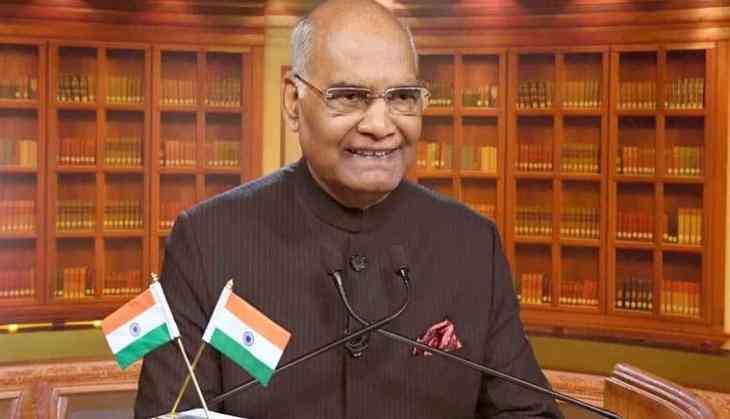 President Ram Nath Kovind on Thursday condoled the demise of veteran journalist Kuldeep Nayyar, who breathed his last on the intervening night of Wednesday and Thursday in a hospital in the capital. President Kovind termed the 95-year-old journalist as a "determined champion of democracy during the Emergency". He tweeted, "Sad to hear of the passing of Kuldeep Nayyar, veteran editor and writer, diplomat and parliamentarian. His readers will miss him. Condolences to his family and associates." Nayyar was awarded 'Lifetime Achievement Award' for his immense contribution for raising his voice against the censorship of print media during the Emergency, imposed during the tenure of former prime minister Indira Gandhi in 1975. He also wrote 15 books including 'Emergency Retold' and 'India after Nehru'. Home Minister Rajnath Singh also expressed his grief over Nayyar's death and tweeted, "Saddened by the demise of senior journalist, columnist and former MP, Shri Kuldeep Nayyar. As a columnist, he candidly expressed his views in his widely read column 'Between the Lines'. His contribution to journalism will be remembered. My thoughts are with his bereaved family." Paying homage to Nayyar, Union Minister Nitin Gadkari said that the journalist "fearlessly opposed the emergency in 1975 and was jailed for championing the cause of democracy and freedom of the press." He tweeted, "Deeply mourn the sad demise of veteran journalist Shri Kuldeep Nayyar and convey heartfelt condolences to the bereaved family". Union Minister Jagat Prakash Nadda posted a condolence message on Twitter saying, "Deeply saddened to hear the tragic news of the demise of veteran journalist #KuldeepNayyar He was a fine author, human rights activist, a great patriot. May his soul rest in peace." Expressing sorrow over the demise of the senior journalist, Andhra Pradesh Chief Minister N. Chandrababu Naidu described Nayyar "a man of integrity and one who stood for values". Naidu also opined that Nayyar's demise is a huge loss for the journalist fraternity, adding, "he is synonymous to commitment and earned his own place in the Indian journalism". Odisha Chief Minister Naveen Patnaik said that Nayyar's "commentary on contemporary politics and untiring efforts to champion freedom of expression will be missed".